Need Help? Please call Janice Hilsman at (407) 741-5302. We are pleased to announce our 39th Annual Conference to be held at the OPAL SANDS Clearwater Beach Resort, Clearwater Beach, Florida. Note: Our 2019 conference kicks off earlier, Thursday instead of Friday!! Hotel Room Block at OPAL Sands is Sold Out! OPAL Sands’ sister hotel, Sandpearl Hotel, few blocks away . Contact Erik Lunder, at (727) 674-4115. [email protected]. Stay directly next door at Edge Hotel (a boutique hotel) and just walk over to the OPAL Sands for the events. 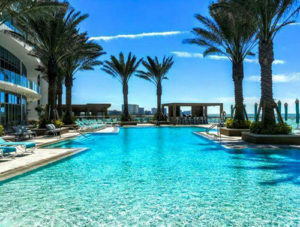 Wyndham Grand Clearwater Beach – you can look there too, it is a short walk. Thursday Feb. 7th – Regulatory Roundtable Discussion at 5 P.M. Opening Dinner Reception at 7 P.M.
Near-By Activities and Notes on the Area! Clearwater Marine Aquarium – A unique Marine Life Rescue Center, Home to Winter & Hope, Start of the Dolphin Tale Movies. Dolphin Adventure Tour – Join them aboard their Catamaran “Nicholas’ Journey” to be part of their Wild Dolphin Research Program. Parasailing – Chute Em Up Parasail. Bay Area Museums – Tampa Bay History Center, American Victory Ship Marines Museum, Armed Forces History Museum, Florida Museum of Photographic Arts, Inc., Glazer Children’s Museum, Henry B. Plant Museum, J.C. Newman Cigar Company, Morean Arts Center, The Dali Museum.